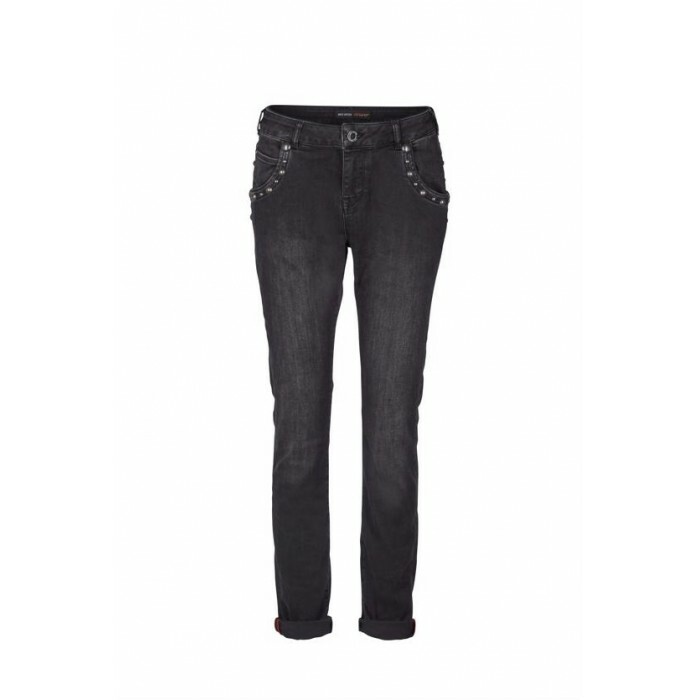 These cool black denim jeans can be used high or low waisted and are cut with a tapered fit. 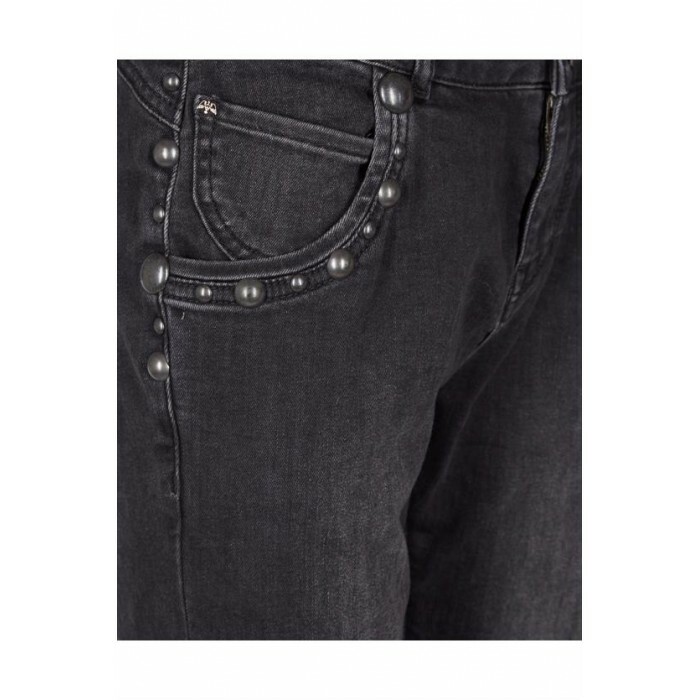 Crafted with plenty of stretch for daylong wear and detailed with big studs at front pockets. 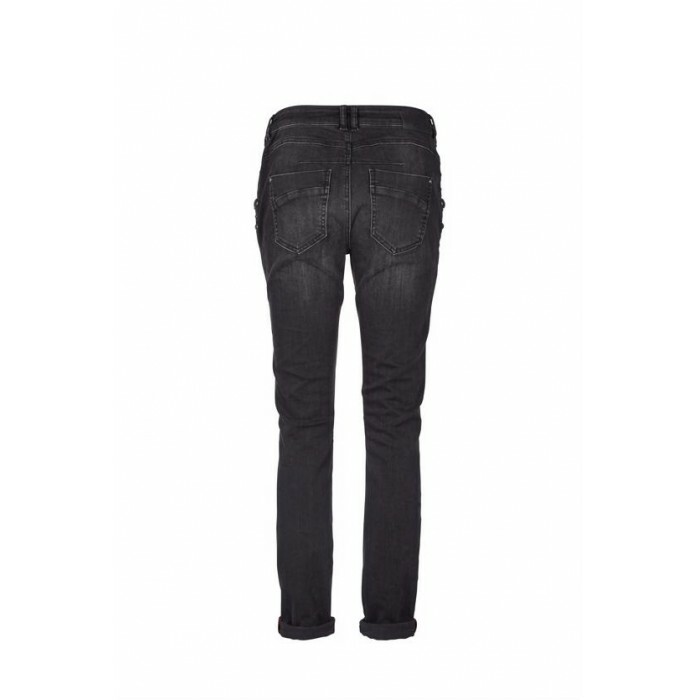 Wear yours with everything from knit to shirts.